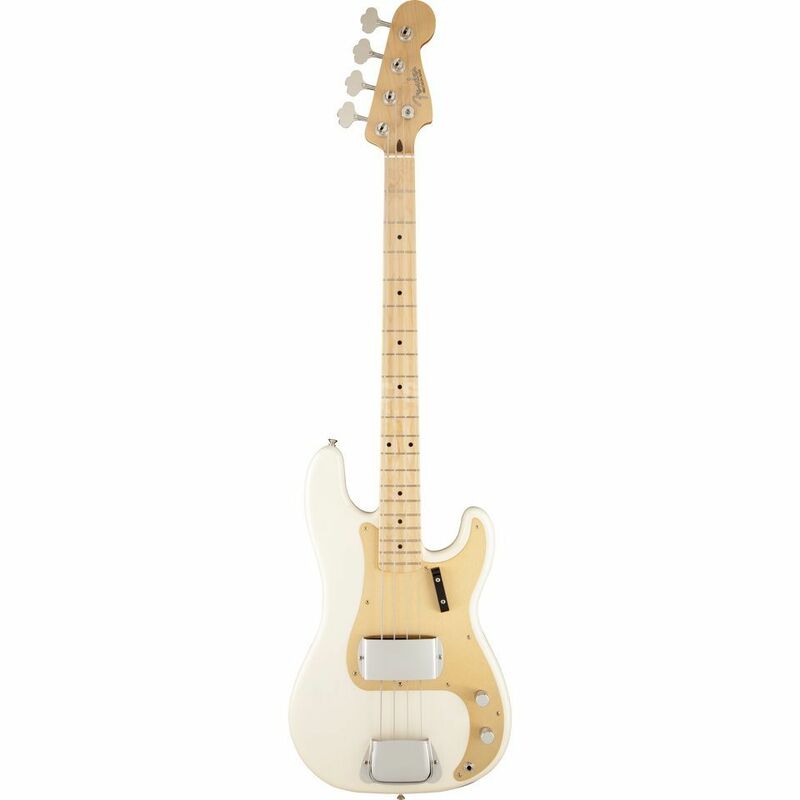 The Fender American Vintage ’58 Precision Bass 4-String Bass Guitar in White Blonde has been released to commemorate the first year that model was made available in the classic 3-Colour Sunburst finish. The Fender American Vintage ‘58 Precision Bass in White Blonde features a lightweight Ash body that is as authentic to the 1958 original as possible. This is joined by a thick C-shaped Maple neck that is finished with 20 vintage-style frets, black dot inlays and a traditional 4-inline headstock. This choice of woods helps to produce a classic bass tone that sings with sparkle and clarity across the entire frequency range, while the timeless design results in a comfortable and highly playable instrument. The lightweight body of the Fender American Vintage ’58 Precision Bass guitar is fitted with an American Vintage ’58 split single-coil pickup that features a brand new design while retaining the classic Precision Bass tones that made the model famous. This is accompanied by master volume and tone controls, a vintage-style bridge with threaded steel barrel saddles, lower-mounted finger rest and American Vintage revers open-gear tuners. The look of the bass is finished off with a gold anodized aluminium pickguard and chrome pickup and bridge covers.